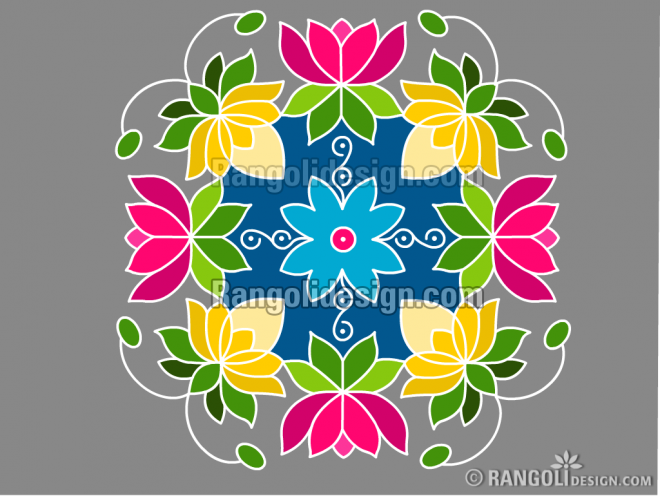 Easy Rangoli Designs : It's believed that rangoli designs started many centuries ago. 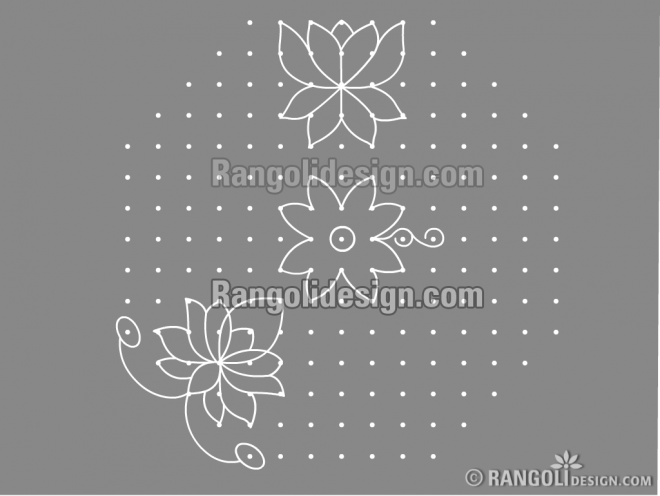 Some refrences of rangoli designs are also available in our scriptures. The art of rangoli has changed and rechanged over many centuries. 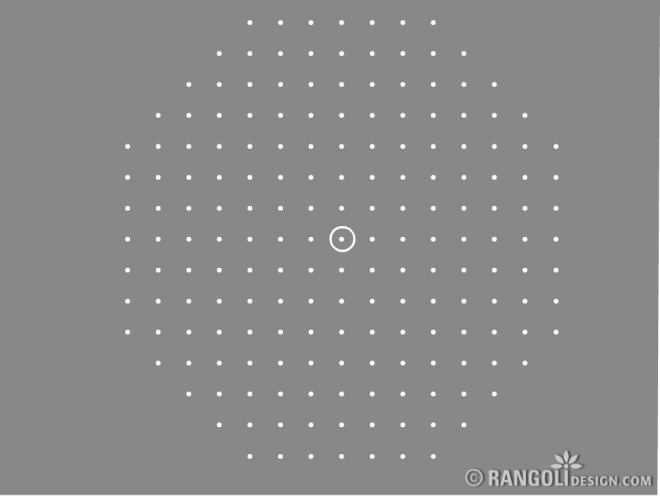 Rangoli goes by various names in many parts of India. In Tamil Nadu it's known as Kolam, in Andhra it's known as muggulu, in Karnataka it's known as muggitu, in Rajasthan it's known as a mandana and so on. 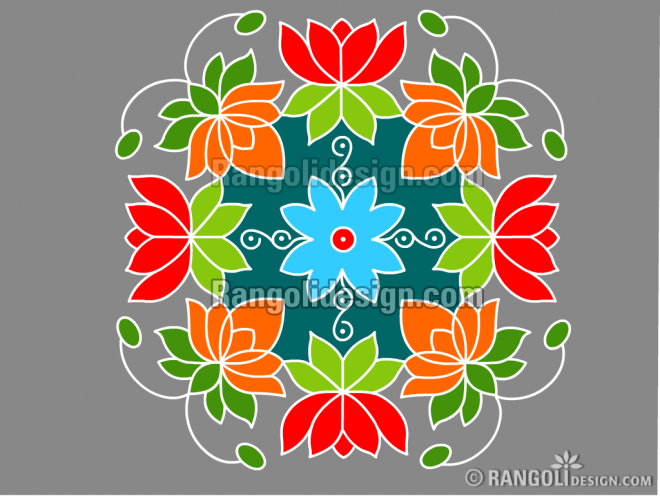 We have some easy indian rangoli designs for beginners. 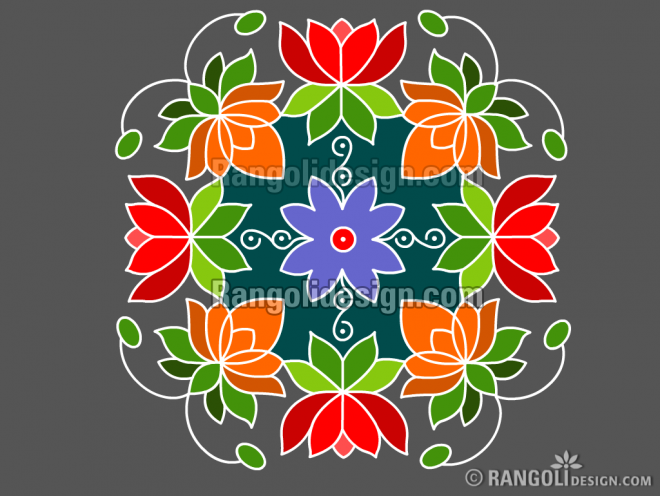 Practise these easy rangoli designs from the comfort of your homes to impress your in-laws or your neighbors. If you enter any hindu house in India, you are bound to be welcomed by a rangoli design which is normally drawn with chalk powder or lime stone powder on the floor. Traditionally rice flour was used to create rangoli designs, since it can act as a food source for tiny insects and birds. 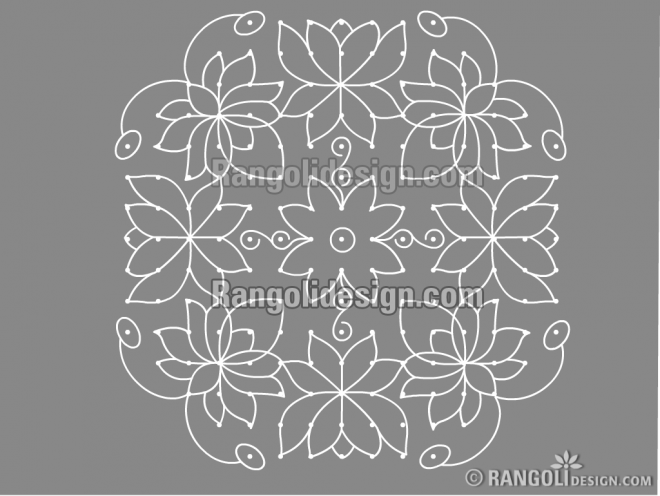 Easy rangoli designs are used in almost all kinds of hindu religious occasions, festivals, weddings and so on. 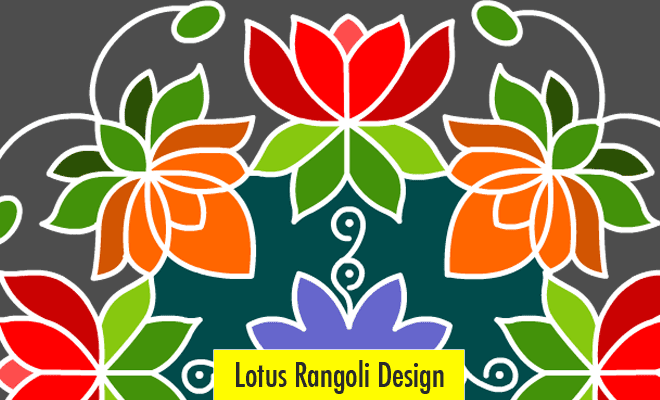 It's believed that rangolis ward off evil spirits from homes. 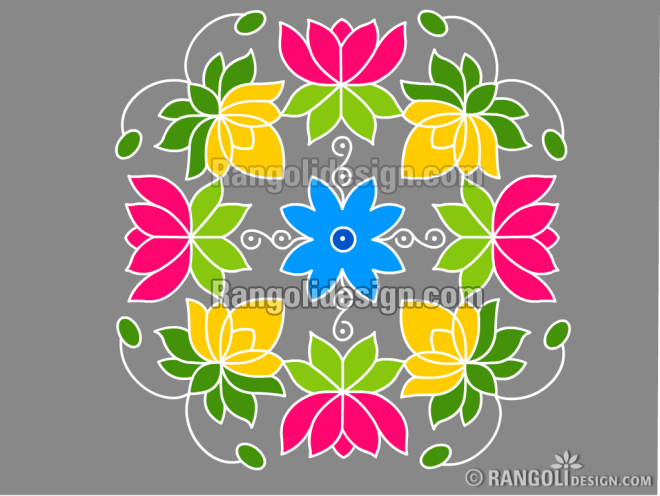 So try one of these easy rangoli designs today.